Heather was born and raised in Rondeau Park, Ontario. She graduated form St Clair College Diploma Nursing Program as a registered nurse. She worked in the Intensive Care Unit, ER and Recovery Room for 13 years at the Chatham Kent Health Alliance, upgrading her education throughout that time. In 2000 Heather went to work in family medicine for Dr Clendenning, Dr Perkin, Dr Sherwin, and Dr Wheeler in Blenheim. 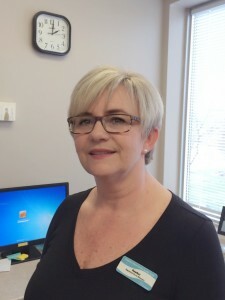 In December 2013, the Blenheim office joined the Chatham Kent Family Health Team which lead Heather to her present position of Diabetes Nurse Educator for the CKFHT Diabetes Wellness Program. Heather mentors students as a preceptor for the Clinical Preceptorship Program of the University of Windsor Faculty of Nursing, in the area of diabetes education, and as always looks forward to meeting the education needs of our patients living with diabetes.